In 2018 we celebrate 150 years of New Zealand's women's suffrage and the New Zealand women of diverse cultures leading the way for our future. 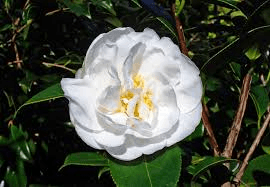 In recognition of this anniversary, The Zonta Club of Marlborough invites you to a commemorative planting of 5 Kate Sheppard camellias at Pollard Park, Blenheim. Please park by the children's playground and cross the footbridge over the stream. Here we will gather for the planting.